Statistics on pedestrian accidents in California points to the fact that the roads are becoming unsafe for the walkers. There are a number of factors responsible for this and one is the population of people in the state, as well as an ineffective public transportation service. Statistics from the DMV says that more than 20% of the accidents on the roads are caused by pedestrians. However, because pedestrians are more vulnerable to injuries when involved in a car-pedestrian accident, they have a right to be compensated for their pains. 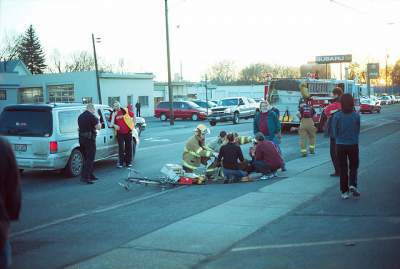 If you have been hit by a car due to the driver’s negligence, and don’t know where to hire an experienced pedestrian lawyer Carson, CA, well here you are. You should talk to a pedestrian lawyer from Rawa Law Group. Rawa Law Group offers unbeatable legal services in all the cities of California and environs. Our unbeatable services are carried out by some of the most experienced lawyers in the state. We have a vast knowledge of the dynamics of pedestrian accident legal cases (more than 55 years) and have helped several thousands of victims in making full claims and recovering hundreds of millions in the process. We offer a free case evaluation and only require payment after we have won your case. You will be given full attention and representation as well as being updated on your case as we go on. If you are severely injured, our lawyers can visit you at your place of treatment or your home. We can also book appointments with you depending on how free your schedule is. To book an appointment, come to us at our office address as listed below.